Weyerhaeuser is involved in nearly every facet of the forest products industry, from growing and harvesting trees to producing products that are fundamental to human needs. In addition to overseeing their forestry assets, Weyerhaeuser is also involved in managing mineral resources. They support production and development for 5 million surface acres owned by the company in North America. The purpose of this project was to streamline the process of surveying mineral wells and allow auditors to maintain up-to-date records shared seamlessly across the company. 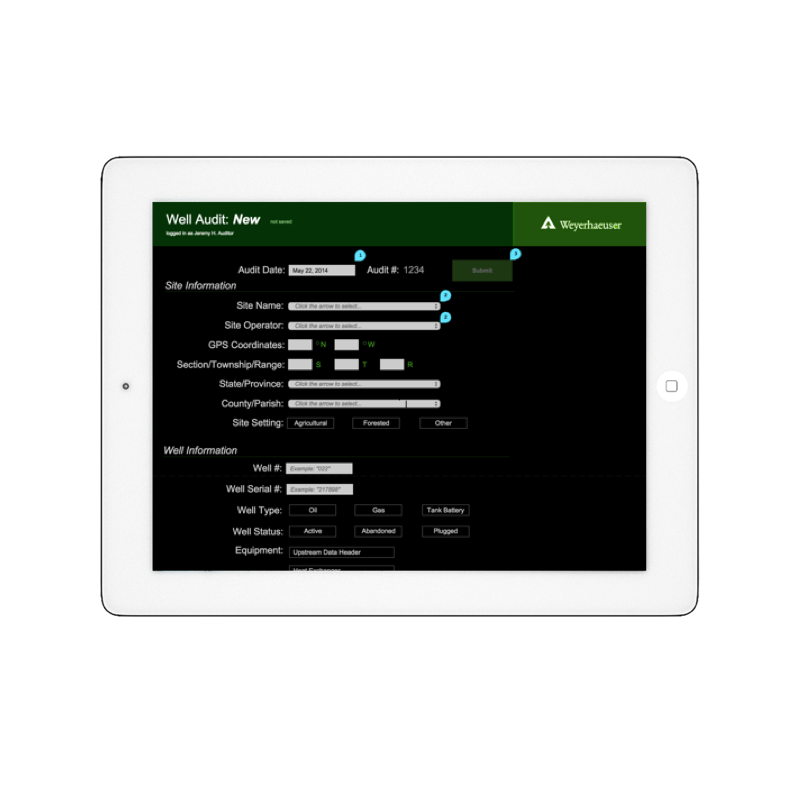 I created a simple tablet application that allows well auditors to modify information about each well, create a new audit, edit an existing audit and upload pictures or notes.